I can not add anything to what Christ accomplished on the cross by what I do or don’t do. After He suffered the consequence for every sin, He proclaimed that the work He came to do was Finished. His love was so perfect; His Work so complete that there is nothing I can do to add to His Perfect Salvation. To do so, is to not believe in His work but my own. But all my righteous acts are filthy in comparison to His pure love which has nothing selfish attached. If it required any good works of my own, then it was in vain that Christ died, and therefore the work He came to do in reconciling me to the Father is incomplete. What person after given a perfect gift of love, says, I cannot accept it as it is, it’s not good enough, let me add something to it to make it more acceptable? But we have not been given an inferior gift, but one which was taken right from the bosom and heart of God – His Beloved Son. There have been occasions while receiving a gift I’ve felt guilty or because of my pride I could not accept it unless I could give something in return. 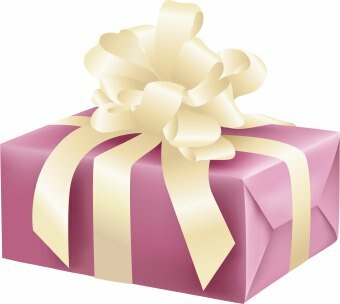 To simply receive a gift and enjoy it is hard for me. I have no problem giving gifts. In fact I delight in it. God has given His very best through sending His Son, Jesus Christ to die for my sins, and then sending me the gift of His Holy Spirit to guide and direct me in all my ways. How could I say to Him, no, I can’t accept your gift unless I can give you something in return. What could I possibly give Him to equal what He has given? What could I possibly give back to God in exchange for His Great Salvation? How could I possibly match His Love? When the angel, Gabriel appeared to Mary, he came with God’s “Word”. She was to become the dwelling place for God’s only begotten Son- Jesus Christ. Mary was a virgin and did not know how this could be possible. All the prophets born had an earthly father. What the angel was telling Mary was that God Himself would be the Father. This was beyond Mary’s comprehension, but she believed and accepted “His Word”. The moment she believed, God’s Son- Jesus Christ was conceived not only in her womb but in her heart. If she had not believed she would not have been the dwelling place of the “One” who had left heaven to dwell with mankind. But because God knows all things, He knew she would. Jesus is the seed that left heaven to penetrate our heart with the “Truth”. The soil or the heart that receives the seed is the dwelling place for its development. Every seed contains its own predestination purposed by God (Ephesians 1:11, Romans 8:29). A seed that comes from a fig tree can only develop into a fig tree and produce fruit. So it was with the seed that was sown in Mary’s womb – predestined to develop into the “Son of God”. Just as Mary received God’s Son and saw the evidence of her faith through His birth, we also, are called to be the dwelling place for God’s Son. As He abides with us and we with Him, He manifests Himself in our life (John 15:4 1:27). Our flawed nature (dna) changes into God’s divine nature (DNA) which is predisposed and predestined to develop into His image (Genesis 1:27). God’s divine nature begins to mesh with our sinful nature until our sinful nature is less recognized as we yield to Him (Ephesians 5:18). Just as every seed that God has created is predestined to become what He has purposed, so has He predestined everyone who “Believes” to become His child. Our part is to believe and receive. His part is to transform us through the work of His Holy Spirit. The soil that is cultivated by a repentant, receptive and believing heart is the heart that is covered by Christ’s blood. Without the shedding of blood there is no forgiveness of sin (Hebrews 9:22). When we receive God’s plan (Word) for reconciliation to Himself a “Holy” God, the “Seed of Truth” will not lay dormant but grow up reaching into heaven and into eternal life. Just as the womb must be covered with blood in order to receive the implant of the father’s seed meshed with the mother’s seed, thus does it occur, spiritually. So how does one become born again? How does one leave the dominion of this world and enter God’s Kingdom? Nearing the end of his journey, the rain had subsided and Noah with patience, pondered and wondered, if indeed they would soon see land; so he sent out a dove, and on its return it carried an olive leaf as a sign the waters had withdrawn- the message of hope. And upon the second time after leaving the safe haven of the ark, the dove did not return. Where did it go and where did it land? Where did it find its rest? And as the Israelites escaped Egypt and journeyed to the Promise Land, they continued to murmur and complain in their unbelief, while the cloud covered them by day and the pillar of fire kept them warm in the cold desert night. The Lord, Himself, bent down, compassionately meeting all their needs, as the Angel of the Lord went before them and behind them every step of the way. It is only in Christ’s salvation we find our rest. When New York’s Governor celebrated legalizing the murder of unborn children at the time of birth, he lit up the city’s landmarks with a pink light, and when Virginia tried to push the same legislation and the Governor described how an innocent newborn’s fate would be in the hands of his/her mother, the light in the hand of the lady, who holds the torch of liberty, “darkened”. And a cry went out across this country from those who mourn for the innocent; for the hand of their protection is no more.